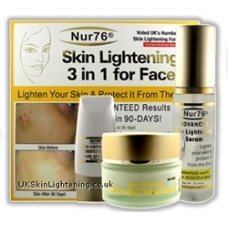 Nur76 is the most amazing skin lightening cream ever created! Nur76 Advanced is used mainly for lightening the face in general, it can also lighten other skin pigmentation problems such as Melasma (Dark patches on skin), Mask of Pregnancy, Blemishes, Freckles, Age Spots, Liver Spots and other hyper pigmentation. 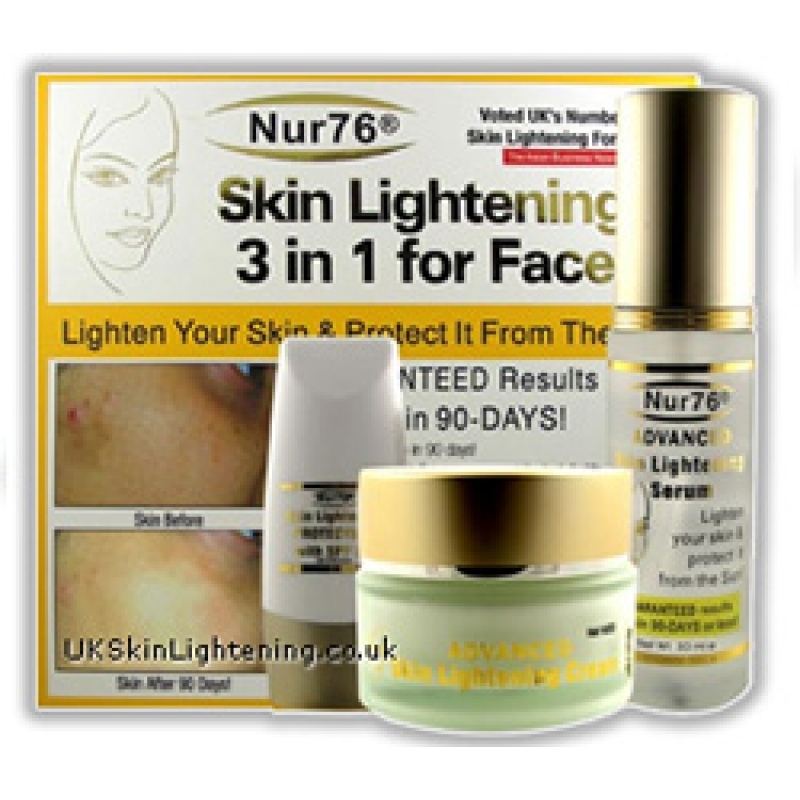 What can Nur76® Skin Lightening 3 in 1 Advanced do for you? Lightens the skin in 90 days or less! Helps reverse photo-damaged skin cells while improving and preventing pigmentation problems. Helps to promote effectiveness of vitamin C & builds capillary strength. Reduces hyper-pigmentation, fights free radical and UV damage. Fades out dark lines associated with aging, wrinkles and laugh lines. Fades out shaving scars, razor bump marks, and dark shadows. Gradually lightens the skin to a more fairer, radiant, firmer younger looking skin.